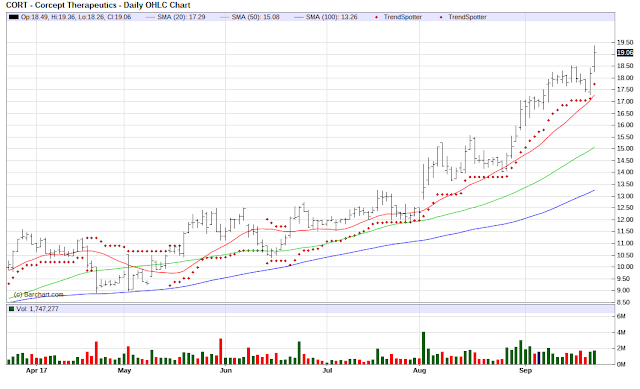 The Chart of the Day belongs to Corcept Therapeutics (CORT). I found the pharmaceutical stock by using Barchart to sort today's All Time High list first by the highest Weighted Alpha then again by technical buy signals of 80% or more. 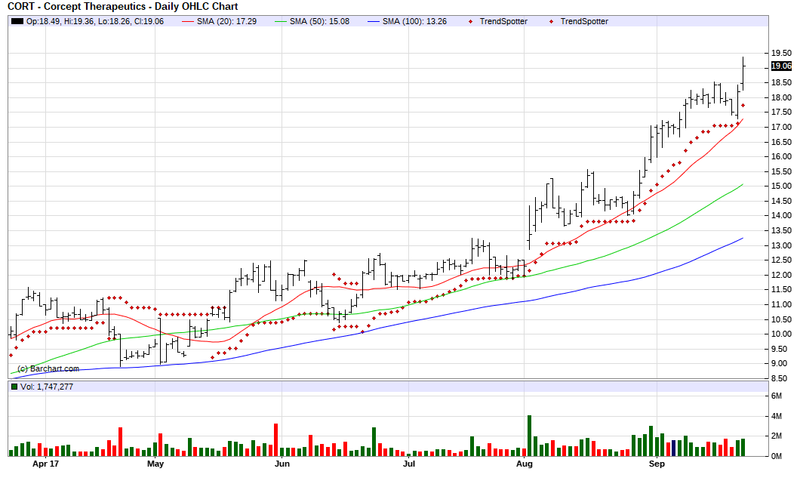 Since the Trend Spotter signaled a buy on 6/21 the stock gained 58.66%. Corcept Therapeutics Incorporated is a pharmaceutical company. It is engaged in the discovery, development and commercialization of drugs for the treatment of severe metabolic, psychiatric and oncologic disorders. The company focuses on disorders that are associated with a steroid hormone called cortisol. It is developing its lead product, CORLUX for the treatment of the psychotic features of psychotic major depression. Corcept Therapeutics Incorporated is headquartered in Menlo Park, California.